See our Special Offers page for our current discounts with up to 15% off our 2019 Tariff for a stay of 3 nights or longer. Early season discount of 10% for any 2 nights stay until the end of March. 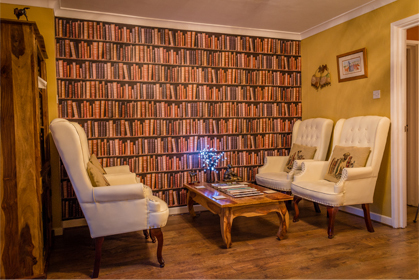 Book online or call us now for discounted offers. 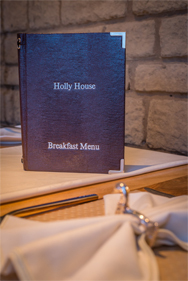 Breakfast at Holly house is served in our light and airy breakfast room. In Summer the bi-folding doors are open to give the feeling of eating outdoors. Offering an Award winning breakfast we can cater for most diets including vegetarian and gluten free. With a little notice we can cater for other diets. Holly house is the perfect base to stay whilst visiting all the local attractions from Countryfile’s Adam’s farm to Churchill’s home at Blenheim Palace. Jayne and David welcome you to their bed and breakfast accommodation. We do not take children or group bookings as we cater mainly for couples wishing to relax and enjoy all the unique splendour of the Cotswolds villages and countryside. We offer Four Star Gold Award accommodation with a Red Rose Award for exceptional customer service and an Award winning breakfast. Situated in an ideal location only a short level stroll from the beautiful village of Bourton-on-the-Water, famously known as 'The Venice of the Cotswolds'. See our Special Offers page for our current discounted prices. Up to 20% off for last minute Summer breaks. If you prefer, why not email or call us now to reserve your last minute room at a discounted price.